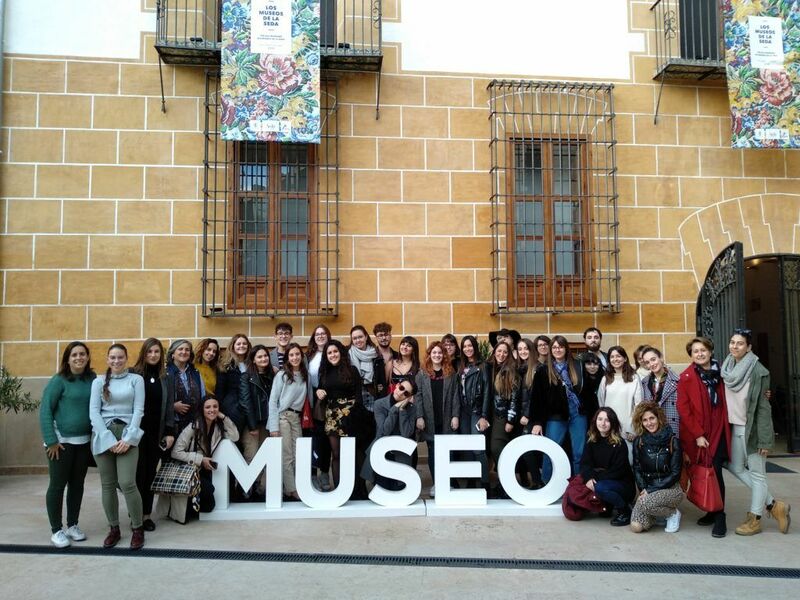 Styling and Fashion students discover the history and transcendence of silk in Valencia | EASD Alcoi. On November 29th, the first and second year form Styling Cycle students along with the first year form Fashion Design students visited the College of High Silk Art, the headquarters of the ‘Velluters’ guild, which gave its name to the neighborhood in which it is located. 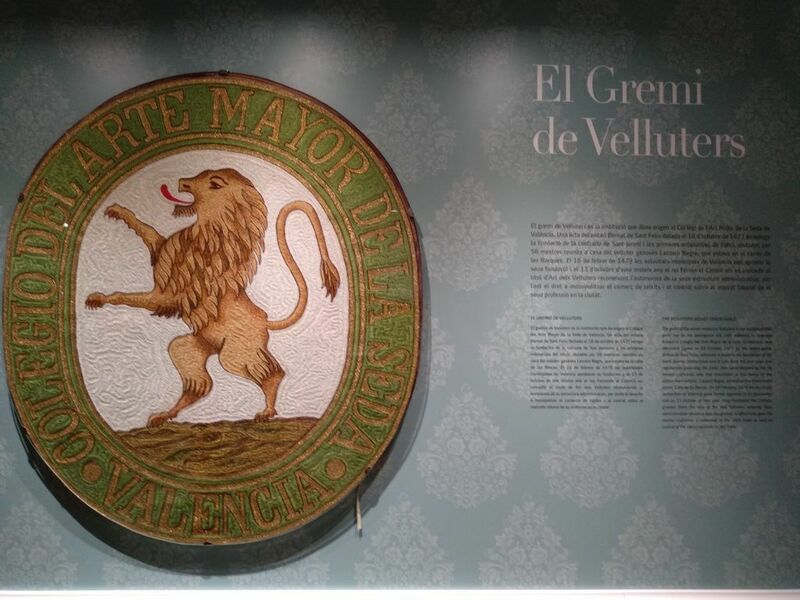 During the guided tour, the importance of silk in the economic growth of Valencia was emphasized, as well as the breeding of the silkworm and the cultivation of mulberry for its feeding and how the yarn was dyed using natural pigments. Valencia not only produced thin fabrics, it had the knowledge of the whole process. They were able to enjoy the workshop hand loom weaver. It formerly weaved damascus, but it was modified to weave what is popularly known as ‘Espolí’ because of the utensil with which it is elaborated. 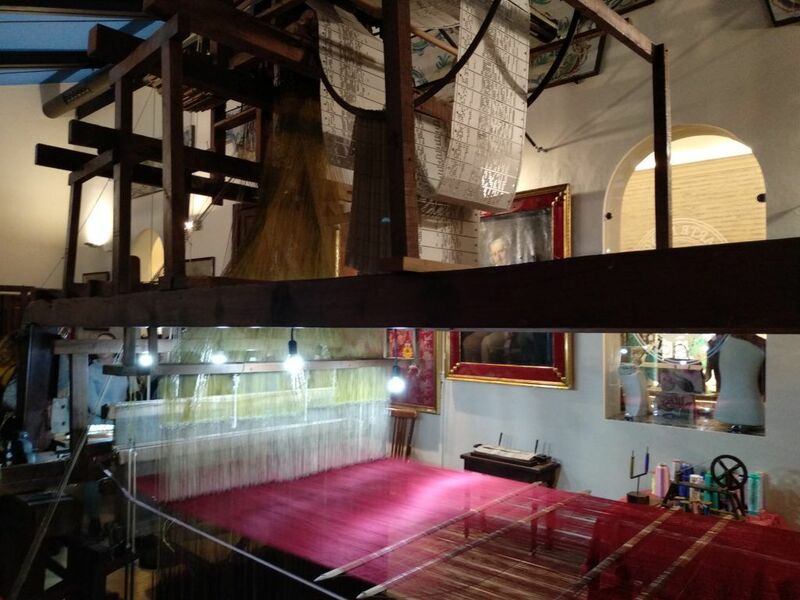 In the exhibition they were able to observe very effectively the expensive and delicate work of the silk-weaving art. 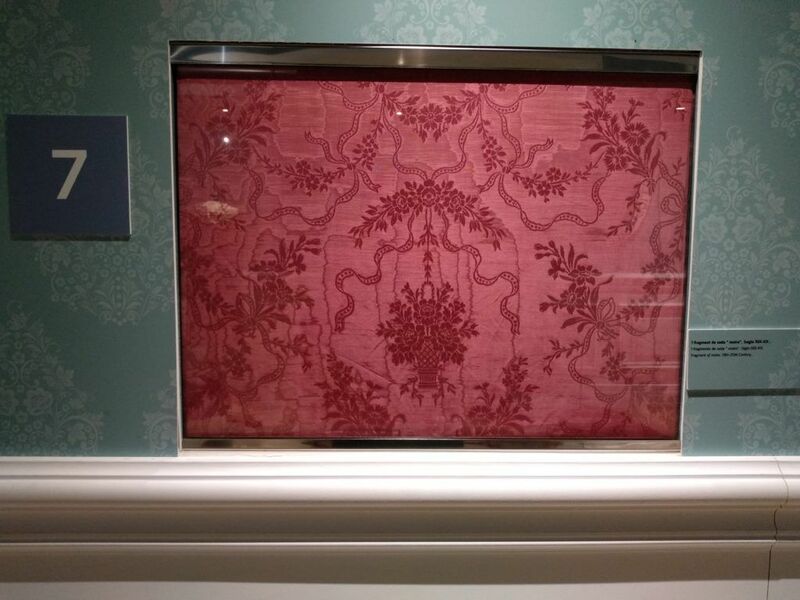 In addition, throughout the visit they had the opportunity to observe the brilliance and beauty of fabrics such as moaré, damascus or ‘l’espolí’. 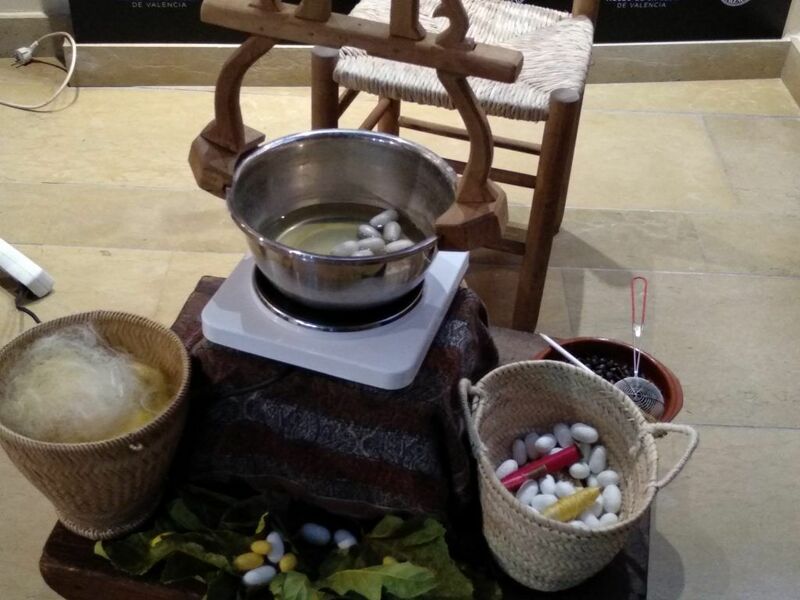 The museum shop also provides a wide variety of artisanal products, showing us all the possibilities that silk offers.